another winner of a post title. At least I'm predictable. I'm sure not everyone is in swimsuit shopping mode (I thought I might be but then I tried this swimromper situation on the other night with sinfully high expectations and it was such a disappointment that I decided ... nope ... although maybe if I had seen this one, maybe!) but you might be heading somewhere tropical for spring break or you might live somewhere super warm (I wouldn't say it's swim weather here quite yet) but I kept seeing all of these cute kids' suits and kept emailing links to myself and finally thought ... what the heck? Let's put those subpar collage making skills to good use, G.
She is still unsure of the waves and prefers to face them ... face on. The Patton logic knows NO bounds. I usually make sure the kids are in long sleeve rash guards at the beach (I have my eye on this for the girls this year, although all of Old Navy's suits are 40% at the moment ...) but this was an unusually cool day back in November so we lived large and went with a tankini and a non-swim diaper. Kall us kRaZy. 1. Pink Floral: I'd totally wear an adult version of this and match the girls. No shame. 2. Flamingo: I keep almost buying this for Phoebe but she doesn't need it. But I keep going back just to look/torture. 4. another Pineapple Suit: am I sensing a trend, Target? 3. rugby stripes: I bought this suit for baby Sebastian and it's still in great shape this year for baby Bosco ... color me impressed. 4. geometric gap: my favorite and the most expensive but if you wait four minutes, Gap will have a sale. We all know it. I love this rash guard (and this one! smaller sizes for the toddler/baby folk) and think it matches nicely because I'm the rash guard police. 6. pineapples: strike again! I might risk an all white top to tone down the bottoms? I just might. 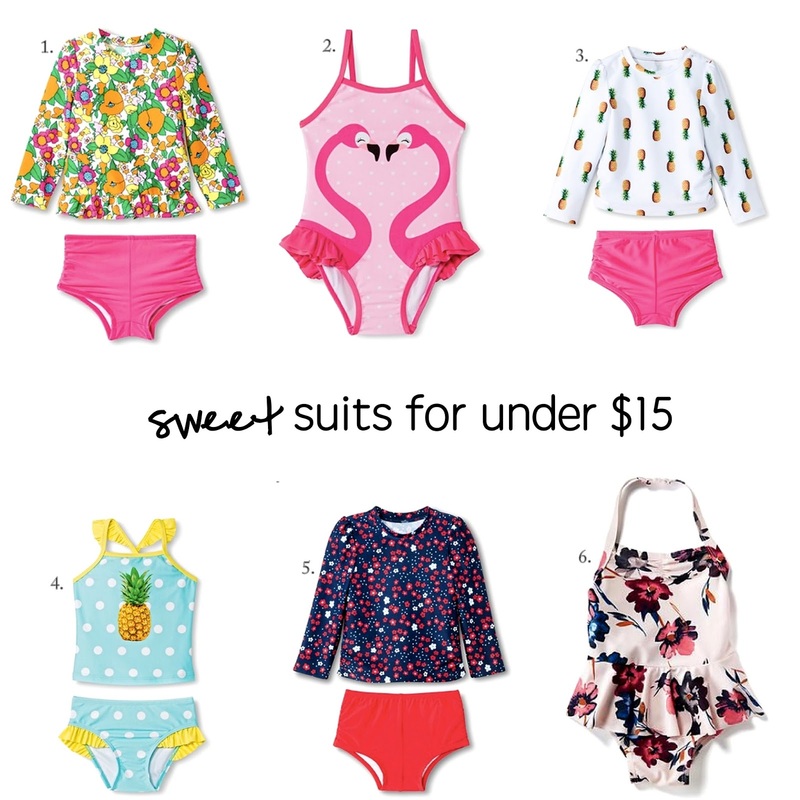 I stopped myself from creating a third collage of ladies' suits but I've my eye on these cute two pieces, these SUPER cute one pieces, and these adorable mom/daughter options. Have you found a great suit? Do share, pretty please! And now I'm off to round out a fortuitously timed nap for ALL and finally finish this week's episode of the Bachelor. love those Zara euro suits! It's never even occurred to me to try them for the boys. And yes -- Bosco has worn lots of suits but barely dipped his toes in the water - ha!! Little girl suits are a whoooole different beast though! haha I know! I (conveniently!) have to pick up a prescription from Target tonight -- I'm going to look for it! I snatched that floral peplum up when I saw it at the store. Glad I did!! I have been eyeing that flamingo suit for Avalon. But since we won't be in Georgia for a couple more months I am holding off. Or maybe I should just get it! Yes!! Go with the swimzip swim suits! This is coming from a Floridian (with so many childhood sunburns to prove it) and a mom who had two babies in Hawaii--my kids have NEVER gotten sunburns and we go to the beach a lot. Plus the zip up tops mean you can take them with you to the zoo or whatever and cover them up over their regular clothes and rest assured that they have sun protection. 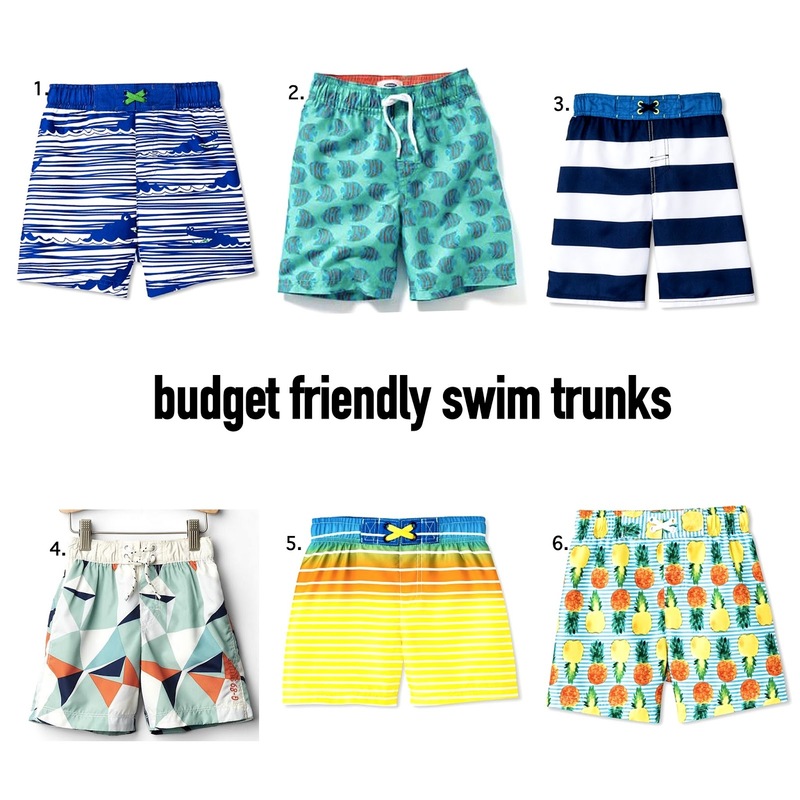 Seriously: get the swim zips. They may be pricey, but they last and protect--the most important part. We just bought the flamingo suit for our 9 month old and it slays me. Sometimes I just put her in it even when we aren't going to the pool.... Just because. I have been DROOLING over almost every single suit at Albion Fit. Their modest swimwear options are so beautiful and fun, which is a really nice change from frumpy-modest. I got number 5 for my little boy and my heart just melts every time. 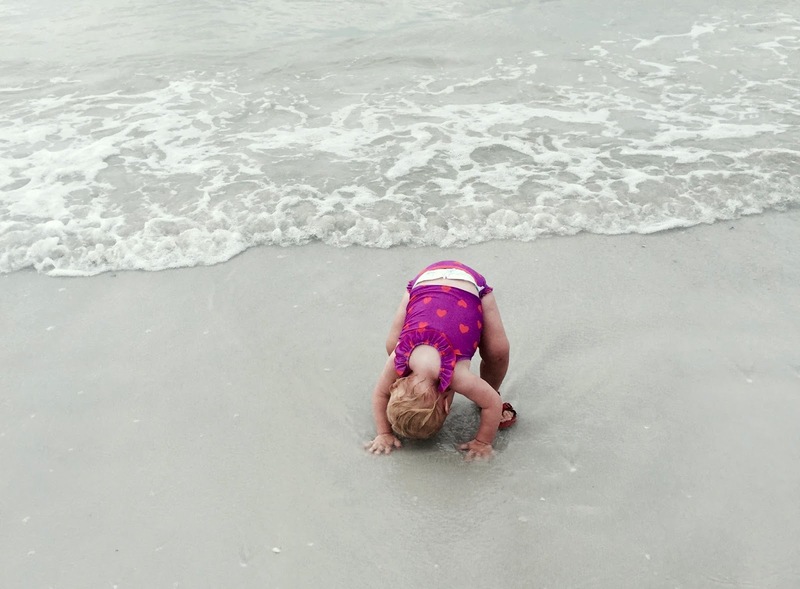 A baby in a swimsuit, yes please! OMG. i tried on that romper last year. I was just at the store earlier today and saw all the swimsuits out and thought, "Oh yeah, I should get some for my kids!" I love the one you have for number 5 on the girls, I think I'm going to get that one for my daughter! LOVE those sweet girl swimsuit ideas!!! I bought a suit last year from Land's End and I'm still in love with it. It's the first tankini I've ever owned that's actually long enough on my long torso. And it hasn't lost it's shape. I'll be keeping it for this year, unless I decide to get a 2nd one! Could you do a post about modest swimsuits for women? By modest I just mean covering the stomach no swim dresses! I have such a hard time finding cute one pieces or tankinis that I feel cute in! here's a post I did last year that fits that bill but I'm hoping to do another one soon!! Thanks so much for mentioning us! Let's get you in one of our Raising Wild Swim suits!